Experienced Solar is a licensed electrical contractor, specializing in bringing residential, commercial and industrial customers the many benefits of tailored solar systems. Our mission is to engineer, design and install the longest-lasting grid-tied and remote solar systems, ensuring our customers get maximum return on their investment in clean, renewable energy. Set up a customized, on-site evaluation with us today to start unlocking the benefits of our solar systems in Albuquerque, NM! Companies who give customers estimates without doing a site survey and a visit of the residence or company, hopefully are only giving you a ball park figure of how large and expensive the system can be. There are many site visit items that Google Earth does not reveal. These include the size of your feeder cables, the utility company transformer size, the ampacity of the buss bar in the main distribution panel, breaker spaces available in the main distribution panel, and ground or roof conditions that the array will be mounted to. So our advice to any customer don’t sign any agreement until the company proposing a system has done an adequate site inspection. Competence in the design and installation of a solar electric system is critical, as a solar electric system, properly designed and installed, is a gift that just keeps on giving. Can you expect a vehicle, boat, or any other asset to last for 25 years and come with product warranties that range from 10-30 years? Your solar system asset does have a return on your investment and ultimately pays for itself and keeps on saving you money for many more years. Return on investments (you get your money back) on grid-tied solar electric systems, range from 5 years for commercial systems to as long as 12 years for financed residential systems. This asset purchase typically has no maintenance costs associated with its existence. Compare that to a car, boat, or truck. Most product warranties of solar electric components come with a minimum of a 10 year warranty and solar electric modules typically have a 10 year warranty on workmanship and a 25 year warranty on 80% production output. Kevin Goodreau, the President of Experienced Solar, has been involved in literally hundreds of grid-tied solar electric systems and over a 10 year period has seen less than 1% of them encounter problems. A solar electric system that is designed properly and installed with the highest level of attention to detail will need little, if any maintenance over many years. Most grid tied systems have arrays that are fixed and the end user rarely if ever adjusts the tilt angle of the array. It is very important that the array is sized such that the production is greater than what the customer is expecting. When the electric production from a solar array does not meet the customer’s expectations or desires, it is almost always the fault of the company who designed and installed the system. An example would be if the slope of a roof is 20 degrees and the modules are placed parallel to the roofline on the roof, this tilt angle as well as the azimuth angle (direction east or west of true south) of the array need to be properly sized such that the estimated output of the solar array is reflected on your estimated production. There are several additional items that should be considered by your solar company, but the designed and installed tilt angle and azimuth angle are two that every customer should discuss with the proposing company. You will be surprised with the answers you get. 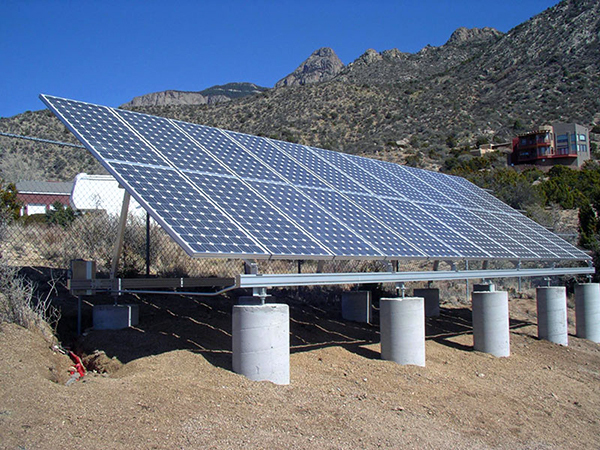 When properly constructed and calibrated, your solar power system will have tremendous potential. Not only are solar panels in Albuquerque, NM a clean, efficient way to get power, they’re a smart long-term investment for those who want to break free from the volatile costs of traditional utility prices. Solar systems deliver more than just clean, plentiful energy: they afford you independence and the reliability that comes with a self-sustaining power supply. Experienced Solar will help you maximize your benefits and optimize your remote autonomous solar electronic system, to ensure you’re getting the maximum return on investment and the strongest performance possible from your solar reliance. We handle the process fully, from conception to fruition, to guarantee a solar system that’s engineered for efficiency. Through precision calculation and unyielding attention to detail, the systems we assemble far exceed conventional “out of the box” setups and those created by general contractors or construction companies. Our systems experience fewer problems, won’t succumb to antiquated technologies and continue to exhibit their effectiveness long after they’re installed. Let us put more than 20 years of expertise to work for you, to build you a solar power system that’s truly an investment in the future. We’re a licensed electrical contractor (EE98 #39045) and are a North American Board of Certified Energy Practitioners (NABCEP) Certified PV installer. Our solar systems can be designed and scaled for residential, commercial and industrial applications. Every solar project we take on is approached with a turnkey mindset. We ensure everything is specifically designed and engineered towards your unique application. Our customer service is simply unmatched. We’re directly accessible at all times, before, during and after your custom solar project. 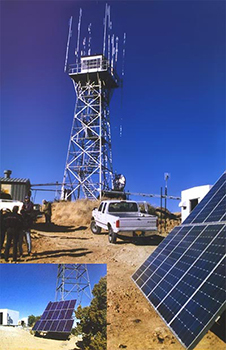 We custom-engineer every single remote autonomous solar electronic system to maximize ROI and performance.